Why, hello there! Still in your feeds? That’s great, thanks for that. There’s a new year to look forward to and an old one to look back at. So let’s do this. In the latter half of the year, I’ve been in a slump with MMORPGs- far enough that I heard me say that I’m practically done with them to a friend. There were a lot of reasons and even a draft for a post on this blog here looking at them. In the end, it came down to time: MMORPGs are time-intensive things and I was having more fun playing session-oriented games like Rocket League or Overwatch- or slower paced singleplayer games like Planet Coaster, Cities:Skylines or Euro Truck Simulator. All of them share the feature of being able to begin and stop playing whenever I want, with no bad conscience for paying a sub, having to progress timely for an expansion to release and so on. It’s pressure-free gaming I enjoyed, even while I am mildly successful in keeping my MMORPG playing pressure-free. There were real-life issues, as well. Nothing personal, mind you, until late in the year, but to be honest, I had to struggle with the results in the american election. Now, we’ll see where the US are headed and I’ll keep further discussion and my personal opinion on that aside- it has been an election, after all- but in the grander scheme of things, what happened in the US was a display of what’s going on, politically, on the whole world. More than worrying about the US (which I do), they made me worry about Europe and Germany- elections are coming up in France and Germany this year, and depending on the results, they could do a lot of harm to the european idea. So I’ve kept myself busy learning stuff- why this might be happening, what could be done about it and so on. I also got acquainted with the appeal of Twitch streaming- I haven’t streamed yet (planning to, though), but a friend of mine does, so I joined him when he was streaming and found it…interesting. I still don’t fully understand why streaming and watching streams is a thing, but I’m getting there. Last month it also became apparent that we’re expecting our second child. Now that’s a way to end the year! Strangely, the news of a second child rekindled my interest in MMORPGs to a degree, as did my personal interpretation of Twitch streaming (I’ll get to that in a minute). Elder Scrolls Online has been my MMORPG of 2016. I’ve tried many, as usual- Blade and Soul, Black Desert, tried getting back into Rift, WoW, Final Fantasy XIV, Guild Wars 2 and The Secret World, but there’s an anchor in ESO: our small guild that’s not-so-small anymore. We’re 15 people now, growing slowly, but steadily- and recently, a couple of members created a Minecraft-server for us to enjoy. So, while I didn’t really play MMORPGs very enthusiastically in the latter half of 2016, I’ve kept regular events going in our guild, and my main character hit level 50 and, by now, 70 Champion points simply by attending those- there was a huge push with the Halloween-event, where doing anchors granted huge amounts of experience (I also threw in some experience potions), and now I’m max-level. The last time I touched questing content was when the character was level 38, so there’s a huge amount of content left for me to discover. Embrace PvP. I haven’t avoided Cyrodiil, but a deep dive seemed unnecessary as neither Camelot Unchained nor Crowfall reached a state where they were playable for me. Keeping a budget….hahahaha. Oh well, that escalated quickly. I guess my “budget” didn’t last more than 5 months. Prioritize MMO gaming- I guess that one went well. I still spent too much money on them, but in the end, I’ve been pretty consistent in playing ESO as my main MMO. More time in good games- well, outside of MMOs, that was. I guess this one was mildly successful, as I did play different games in the second half of 2016. Spend more time with people and grow the guild. Full success. Last year, I stated that I’d like the community to have 10 people, we are at 15 now. I have appointed a co-leader, so I’m not alone in doing stuff anymore and we’ve played ESO together for a year now. Blog more regularly than in 2015. Nope. Went AWOL for quite a while there. I bought the newest Rift expansion and haven’t set a foot inside yet, probably never will. Fear of missing out, dear reader, is a strong marketing tool. They got me with that stuff you’d get by preordering and logging in. Rift has one feature I really like: their housing system is great and reading this great post from Nouvae about finding inspiration for dimensions makes me wish I could get into Rift. 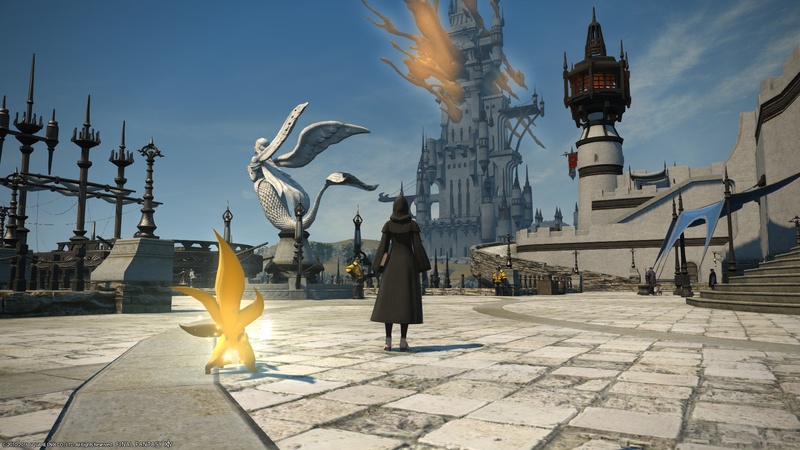 This year, one trap is already looming: Final Fantasy XIV’s newest expansion, preorder opening in the end of the month. I just know I’ll be considering buying it on day one, knowing full well that I haven’t even touched Heavensward content yet. So here’s a resolution: either I’m not buying anything I can’t play (duh!) or if I do, I’ll see that I get there. Hopping around isn’t the issue for me anymore. I’m fine with that now. There are a couple of MMOs I like very much, and I’ll play each of them from time to time. What needs changing, though, is starting fresh every time. So no more character hopping. I’ll start fresh (or already have) once more, but continue playing this new batch of characters. The guild is in a good shape, our main game is in a great shape and getting better with each update. Let’s put a number on this – by the end of 2017, I’d like us to be a community consisting of 20-25 players, which would mean almost reaching our goal of 20-30 players. In 2016, there was one thing I was somewhat unhappy to see: quite a few fellow MMO bloggers called it quits and stopped writing about and/or even playing them. Ironweakness and Murf, to name two. Liore went somewhat silent, as well. My friend, the streamer, doesn’t seem to get blogging, makes fun of our guild using forums to communicate and my guild’s poking fun at me for creating textwalls in forums and guild meetings. I don’t think blogging is dead, but maybe it needs some…freshness. So in 2017, I’d not only like to write more consistently – not necessarily more, but not in bursts of posts and stretches of silence, either, but also try that streaming thing and maybe even video stuff. There’s a pendulum- sometimes, I think international servers are better, english clients are more enjoyable and original and the community bigger, and then, the pendulum swings back to a state where I prefer “simple” to “original”. My new batch of characters will be created on german servers, the clients set to german, at least to try them out, and I’ll create german content- if and when I stream, it will be in german. I might even get a german blog going, but we’ll see about that. Elder Scrolls Online, obviously. Housing is incoming and another big content update (Vvardenfell?) might be coming this year, as well. ESO’s going strong and I’ll join it on its way. Final Fantasy XIV. Another very healthy MMO, and one with meaningful crafting and an auction house, as well. It’s also quite simple in its business model: sub or don’t play. There’s no annoying shop interface, no “updates” coming for the item shop only- it’s just so relaxing to play an MMO that doesn’t have a hand in your wallet at all times. Lord of the Rings Online. Standing Stone Games are independent and Daybreak’s the publisher now. Licensing issues are non-existent, so in my book, this change is all-around positive. Lotro has been my “go-back-to” MMORPG for quite a while (at least from release to 2012) and I love the design of the landscapes. All in all, I feel far from done with the genre and/or writing about it. There’s a bit of a course-correction this year, but I’m actually excited to go ahead with it, especially the multimedia-thing with streaming. After researching and thinking about ways to do it in the last couple of days/weeks, I feel like Twitch streaming and blogging are actually quite similar to each other. I guess that’s a different post, though. Dual Wielding: LFG Edition— sometimes a topic is just too big for a couple of bloggers on their own. That’s when we send out the call, and see who steps up to help us with the challenge. This week, in a special LFG edition of Dual Wielding, we’ve put together a four person team to tackle the question, “what can developers do to foster community”? Let me just state how happy i am about the LFG special edition of the coop blogging post. Thank you so much to Wolfyseyes and Syl for joining Ironweakness and me today. I’m sure it’s going to be fun! So how did it get started? By a Twitter discussion between Ironweakness, Wolfyseyes and Syl about “confusing” design decisions in Black Desert Online or Tree of Savior, for instance. It’s actually quite difficult to get one Tweet that shows it all, but here’s where one big question showed up. 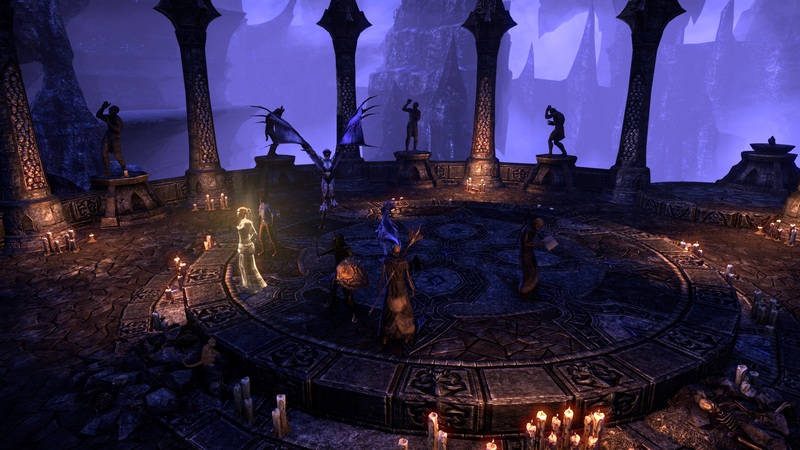 So, if a game is more complicated- does it foster its ingame community to become closer? And what are other ways of encouraging social behaviour in MMORPGs? Forced grouping and the trinity would be more intentional ways to get players to interact with each others. In the course of this discussion, it became clear that this is quite a complex topic- so we chose it for this month’s Dual Wielding and asked Wolfy and Syl to join us. In that discussion, there’s an interesting point in differentiating ways to foster community in intentional and coincidental design choices- is a good community in games like Black Desert Online and Tree of Savior a byproduct of the complexity of the game? Is offering or forcing your players to do group content and role management working as a pillar for community building? Is there anything game developers can do to improve their ingame communities? Let’s take a look at examples first. Guild Wars 2 employs a “no griefing” approach- in GW2, there’s almost nothing another player can do to lower your enjoyment of the game. When you meet others, you won’t sigh or hope you’ll make it first to the resource node, because everything regarding ingame progress is there just for you. You get as much experience, loot, resources when being in a group as if you were alone. Of course, that makes grouping beneficial, as you can kill mobs faster, tackle more difficult encounters and so on. Does it work, though? I’d say no. To be sure, GW2’s community is more on the friendly side of things, but the interaction outside of WvW, sPvP and maybe world bosses is very limited. Yes, you play with others, but they might just as well be displaced with NPCs. Sure, you could say hello and get to talk to others, but the on-the-fly grouping makes pick up groups come and go so quickly that there’s actually no need. The Guild Wars 2 game design is one of the best examples of “alone together” design- i mean, that’s better than being solo all the time, but it’s not meaningful interaction. Another example of this way of game design would be Rift, where PUGs happen organically all the time- when closing Rifts, preventing Invasions, doing Instant Adventures and so on. With both examples, i think a good way to improve on that design might be to make the content more difficult or meaningful. As seen in Final Fantasy XIV, for example. 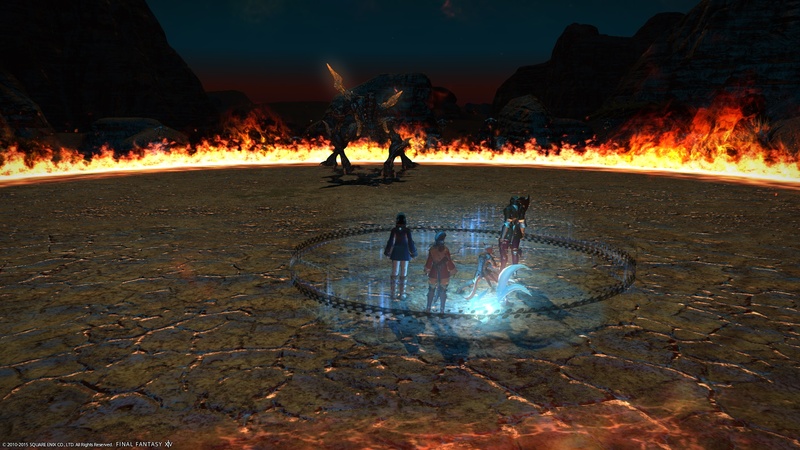 In FFXIV, you’ll come to a point where the main story questline asks you to do group content- and that’s putting it nicely. As progress in terms of game features is tied to your progress in the main story, you have no choice. You’ll have to do group content to be able to trade your goods, get a mount and open many more options in the game. And the first time it asks you to dungeon delve? It’s not one, but three dungeons. Again, Final Fantasy XIV is an example of a very nice and friendly community, but i don’t think the forced grouping really helps in fostering it outside of guilds, possibly. For those, the forced grouping coupled with level scaling is a boon, as there’s always someone you can help, content you can do together and get to know each others. For players outside of guilds, this presents a challenge- on one hand, you have to go find a group in that dreaded LFG tool. On the other hand, but this is of more importance to casual players like me, you are stopped in your progress with a wall of “dedicated game time” in front of you. These three dungeons have been the reason for cancelling my sub/not playing the game two of three times- because i’d need to set the time aside and make sure that i wouldn’t be interrupted while in the dungeon. In the one case where it didn’t lead to me unsubbing, it took me two weeks to get through these three dungeons. Socialising, though? Didn’t happen- it was a PUG, after all, and the pick-up groups for forced grouped content are basically the same as the pugs for optional dungeons in WoW, for example. There was a higher percentage of players saying “hello”, but that was it. 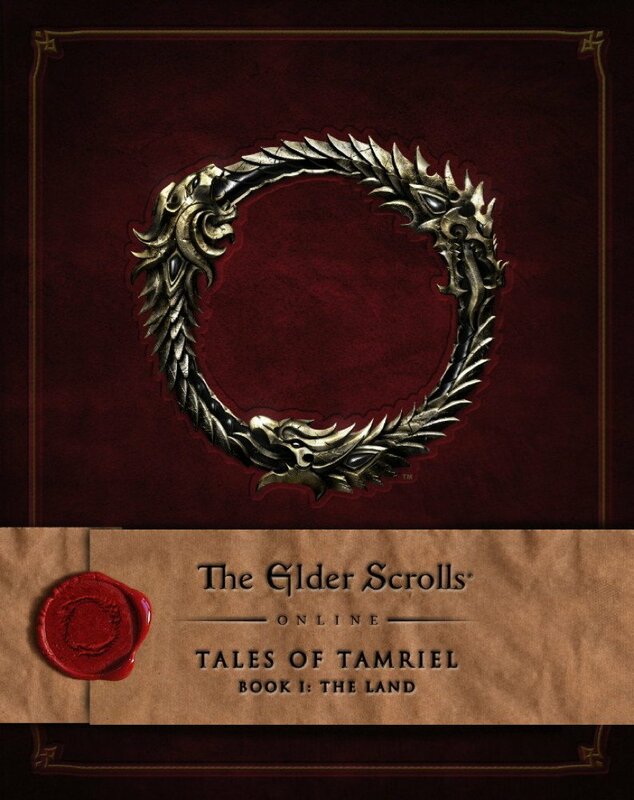 Another example could be Elder Scrolls Online. Now, there you aren’t forced into doing group PvE content, but for trade, you have to join trading guilds. I’m member of one with over 300 members- the chat is more silent than the guild chat of our small guild where 3-5 people are online in the evenings. So no, in my opinion forced grouping doesn’t work. 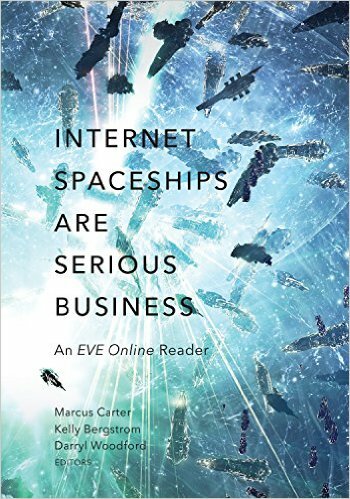 I’ll use Black Desert Online, EVE online and Fallen Earth as examples here. 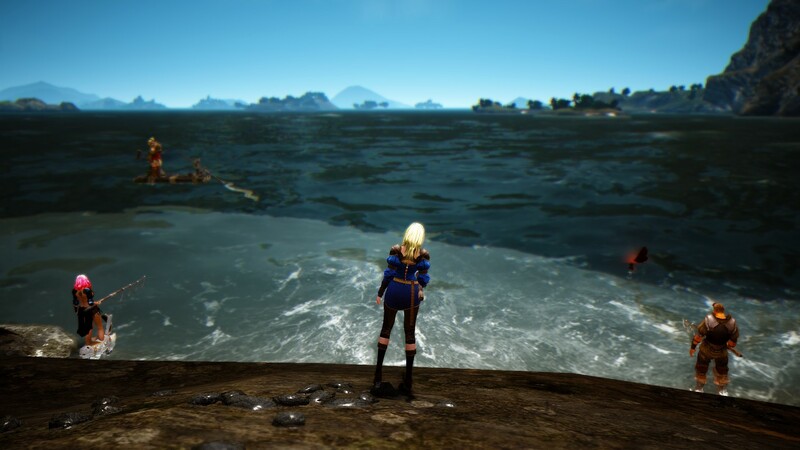 Black Desert Online has the reputation of not introducing players very well into the features of the game. Exploration is a big part of BDO, as well, and other players telling you where to find a horse to tame or certain plants and whatever are a thing there. EVE Online has the infamous learning curve. And Fallen Earth, while unfortunately being almost forgotten, was a Sandpark before Sandparks became a thing. These three games have one thing in common, albeit to varying degrees: you are actually dependant on out-of-game resources and help from others inside the game. It’s been a few days since i last played BDO, so i won’t comment on its community. EVE and Fallen Earth, though? In my opinion, those are the games with the best communities out there. Sure, especially EVE has lots of shadow in its light, too, but it’s here where things like EVE University exists. EVE and Fallen Earth offer a newbie help channel that’s actually helpful and maintained by friendly players. As EVE is one of my two current games, i can tell you that when you begin to dive a bit deeper into the EVE community, it’s almost like a parallel universe. I could easily double my MMO related feed reading if i were to follow all those EVE blogs out there. Of those 98 game-specific podcasts listed by Justin on Massively Overpowered, 13 are EVE podcasts, World of Warcraft has 15. EVE has one thing up on the other two, though: interdependancy and different means to interact with other players. 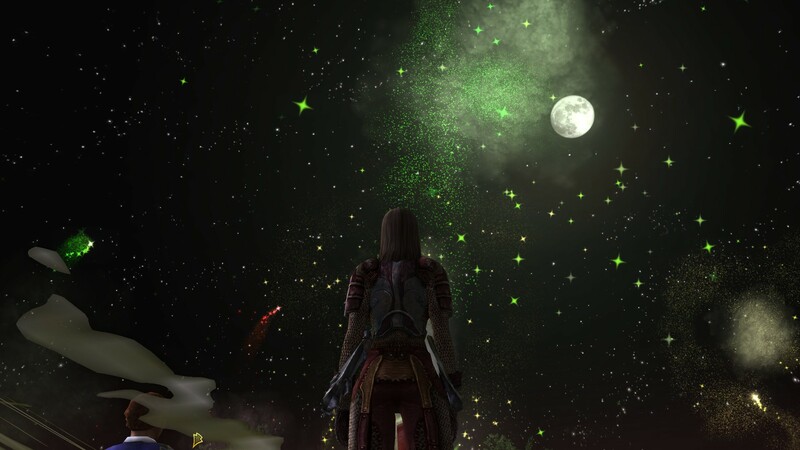 There are two games with great communities i haven’t mentioned above, because it’s more difficult to pin down the reasons for why these games have such great communities- Lord of the Rings Online and The Secret World. But thinking about it now, there is a connection: out-of-game engagement and assets. As with BDO and EVE, these games are not self-contained. Lotro makes use of one of the biggest IPs we have in the gaming world and The Secret World…well, it makes use of conspiracy theories as well as lots and lots of modern tale storytelling like Zombies, Vampires and other themes that have a connection to the real world. The other thing here is- and maybe that is tied to the out-of-game resources, that they’re both very roleplaying friendly. What fosters a good community? I think fostering and maintaining a good community is not about removing or creating obstacles within the game- it is about providing more than “just” a game, invoke emotions in the player base and feel them connected to the game, its world and its players. It is about creating the opportunity to have meaningful interaction with these elements both within and outside of the game. The games don’t carry themselves- they need to be accompanied by out-of-game resources and interactions. For interactions, as i haven’t touched on them above, a developer needs to employ a very open conversation channel with all of their players- offer popular builds on your website, introduce guilds and talk about planned features and what you’re working on as well as your intentions in changes to the game. Hold community meet-ups. Know your bloggers. Stay- or get- in touch. If the game in question is set in a widely known IP, they are halfway there, but even then, developers need to offer resources outside of the game or encourage players to create them- for instance with a design philosophy of “systems over features” (that can make a post on its own). 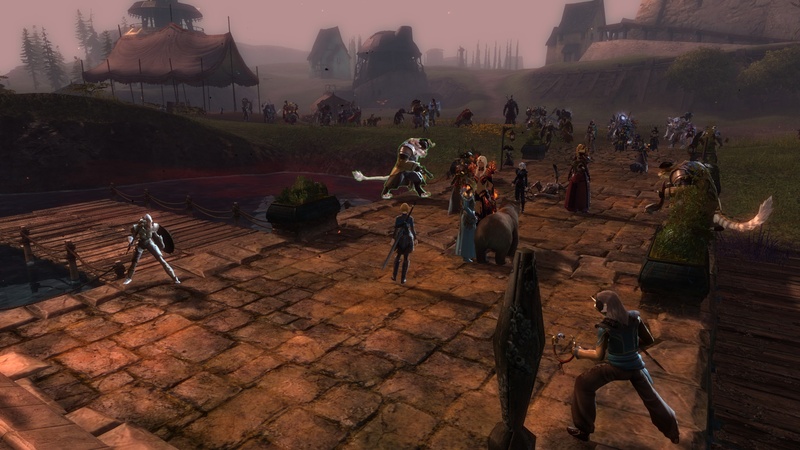 In my experience, if a game offers a connection to the “real world”, either by links to IPs of books, movies, real world legends or even other games (as is the case with WoW and FFXIV), when it is able to make use of connections between the game and real-world experiences of players, it has a leg up in terms of building community. Self-sufficiency is nice and all, but if it is offered, even as a hard-to-reach goal (like leveling all crafting professions in FFXIV), nowadays players will try to achieve it. It’s easier than to try and make connections to other players. Picture interdependancy as the “system” version of the “feature” forced grouping. It’s easy to do in crafting- just don’t let anyone craft everything by themselves (ideally not even by making use of alternative characters) to “enforce” player trading- but don’t make it more difficult than it needs to be. Also, let things break to maintain this interdependancy. Or allow certain crafters to repair stuff / create repair tools. It can be done in PvE, too, if we think about Entertainers in Star Wars Galaxies who were able to remove debuffs from players in cantinas. The trinity is not enough, combat-wise, there have to be more roles on offer- like debuffing enemies, buffing players, support roles and so on. Another thing to note: being grouped up with other players should always be beneficial. There should be an inherent need for having other players around and it should span more than the odd dungeon or world boss. Most of us have noticed that MMORPG players have changed. There isn’t a big influx of young gamers into the genre- they play specialized games, and the genre fans have been getting older. That means having less time to play and less will to dedicate huge chunks of time to gaming. I think many of us are still in this genre for the other players we can meet and interact with, but at the same time, we are less willing and able to put lots of time into this. One of my favourite articles (really, go read it) introduced the idea of asynchronuous interaction- it is what makes Twitter, Facebook and E-Mail work so great- all of them enable their users to communicate even when the other one isn’t there. MMORPGs haven’t toyed much with that idea, though. For most of the things we can do together, we’d both need to be online (auction houses being the excemption). And then….let it scale up. Offer something for two players to do together while they’re both online, or not. Offer the same for groups of 5, 10, 20, 50 or 100 players and you have a solid base for building communities of all sizes. This one is hard to grasp, but i think if we’re looking into the examples i mentioned above, they all have in common that the games in question have a vision. They want to offer something special and they stick to their guns. Be it TSW’s creepyness, Lotro’s world-creation, FFXIV’s compelling themeparking, EVE’s cutthroat philosophy and so on. Even World of Warcraft with all its changes has stuck to one vision: creating and maintaining an accessible MMORPG. Others have changed focus, hunting for new/more players instead of keeping their current customers happy or miscommunicated their vision before launch. Some of them do well, money-wise, some don’t. Some still have good communities, but really, would you say that the Star Wars community isn’t capable of doing much more than what happens around SWTOR? Yeah, me neither. What game does it best? In my opinion, even before returning to it, i’d say and would have said EVE Online. They have the fanfest, blogging events, the whole ingame economy is player-based, even the lore and history is. EVE started in the game and was only that. But players were enabled to take ingame events and such to the outside. We’re talking about a game with concurrency numbers in the 30-40k area, but the community has created so many assets, from tools, to websites, blogs, videos, even books and history, that EVE is much more than just the game now.Ingame, there are huge advantages to flying in a fleet without debuffs, xp bonus or some other “artificial” benefit, but because of the game’s inherent systems.